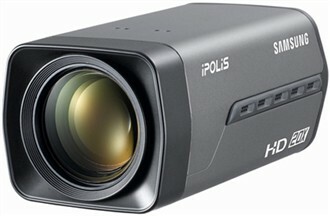 The Samsung SNZ-5200 is a 1.3 Megapixel box camera that features Samsung’s WiseNet1 DSP chipset. This camera is ONVIF compliant and is capable of displaying multiple resolutions from CIF (320 x 240) through to 16:9 format 720p full HD and up to 1.3 megapixel (1280 x 1024). The SNZ-5200 supports multiple H.264, MPEG-4 and MJPEG codecs to provide a high quality recording solution and seamless monitoring with its frame rates of 30fps. The SNZ-5200 features transmission, which allows the maximum streaming up to 10 profiles to your viewing or recording device for simultaneous viewing/recording with data transmission. It also features True Day / Night ,operation with ICR, and frame integration. The Samsung SNZ-5200 has many exciting features for users of all types. 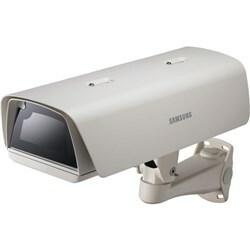 See the Samsung SNZ-5200 gallery images above for more product views. FactoryOutletStore stocks a full line of accessories like Camera Housing for the Samsung SNZ-5200. The Samsung SNZ-5200 is sold as a Brand New Unopened Item.